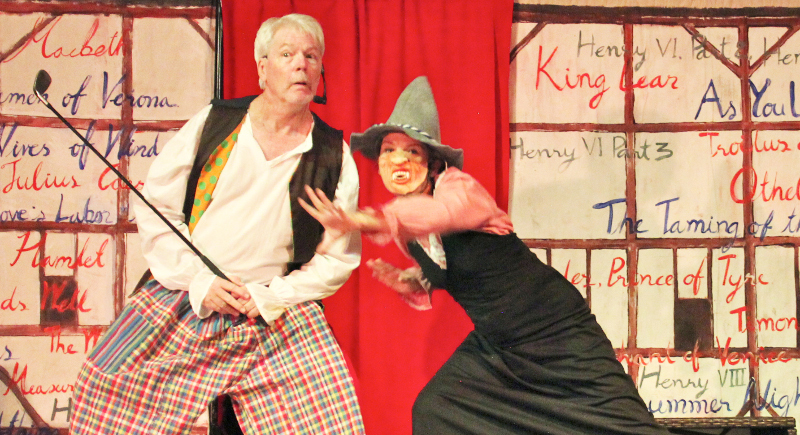 The ‘Complete Works’ delivers an evening of quality entertainment and uncontrolled laughter. It was so well received at The Green Man in October that now it will be a featured performance at HeadStart’s creative arts week, Monday, March 21, at 4:30pm. Tickets can be purchased at the HeadStart administrative office. Don’t miss it! Did you know that this year, 2016, marks the 400-year anniversary since William Shakespeare passed away? So it is all the more fitting that his marvelous contribution to the world of theatre and literature is honoured with a theatrical event unprecedented in world history, all 37 of his plays condensed into an exciting, rollicking, hilarious evening of 97 minutes (more or less) of quality entertainment and uncontrolled laughter. 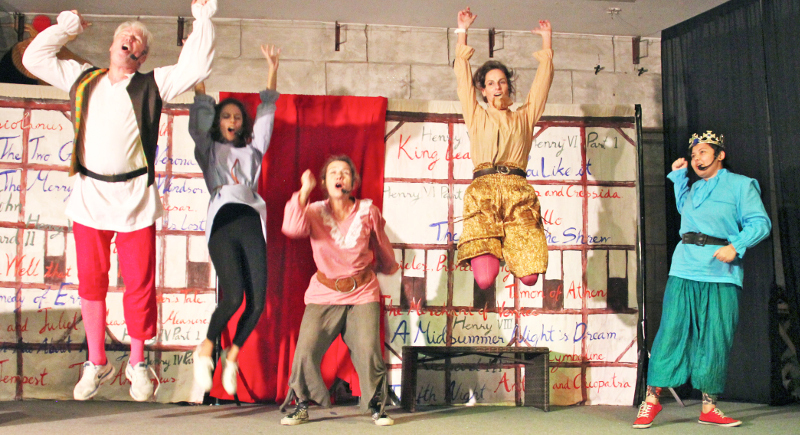 Among the comments at Theatrix’ first performance were: “Amazing invention, wit and energy! Well done!” – Patrick Campbell; “Well done, we were in stitches!” – Craig O’Nions, math teacher at HeadStart. See you there! The Complete Worksis only the first offering of the Theatrix’ project Outta the Box Classics. The troupe is planning to present two to three plays a year to introduce international school students, English-speaking Thai students and a general audience of all ages to the classics of literature and theatre in a fun, engaging, accessible way.They are now working on their second play, an abridged version of Romeo and Juliet, for which dates have yet to be announced. And there’s more to come each year. You’d be a fool to miss any of them. 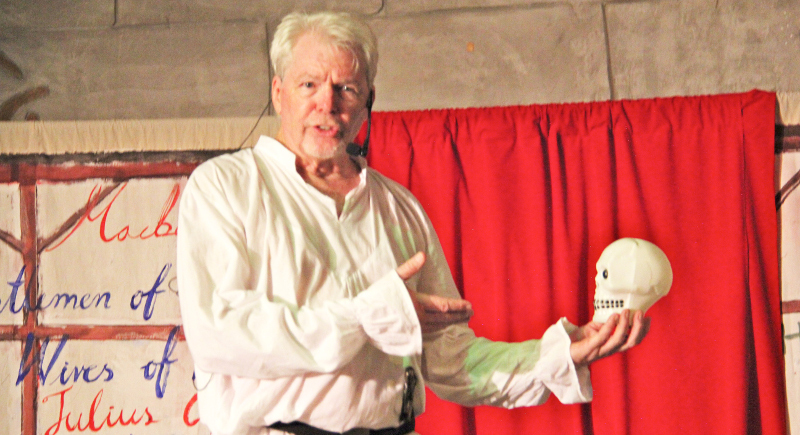 The show is recommended for kids from the age of 9 to 90 as a great introduction to the work of the world’s most popular playwright; many people who have seen it have said that it made them interested in exploring more of the works of this remarkable author, and that’s exactly what Theatrix wanted to happen. The troupe aims to see quality live theatre performed in Phuket regularly and are so thankful for all those who have helped make it possible, namely HeadStart International School, The Phuket Newsand Live 89.5, Two Chefs restaurant, Oasis Ed., and the Green Man Pub and Restaurant. Central Festival and the Book Café have also been very instrumental in helping the team get started and established in Phuket. The Phuket News and Live 89.5 are proud sponsors of this event.